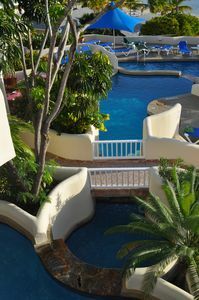 Welcome to our Luxury Pool Suite located in the exclusive Jumby Bay Resort in Antigua. 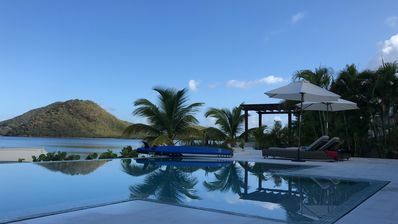 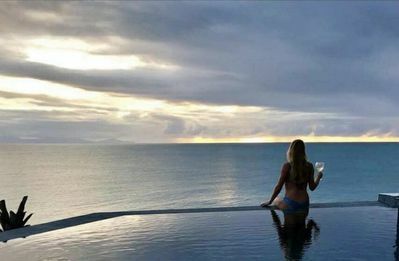 Whether soaking up views of the Caribbean, relaxing with a book or celebrating a special occasion, the experience of staying here will last a lifetime. 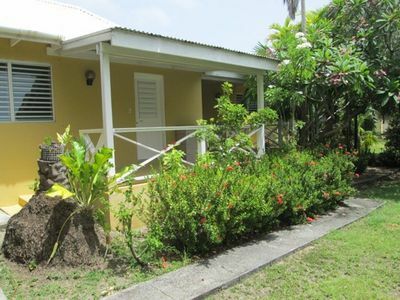 An antique privacy gate and entry courtyard welcome guests to this elegant one-bedroom suite. 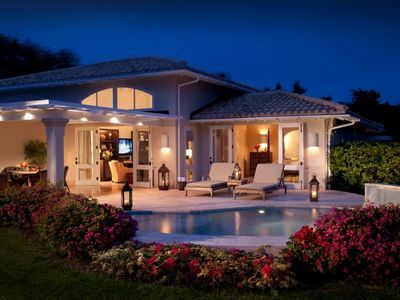 Beautifully appointed with 1,346 sq. 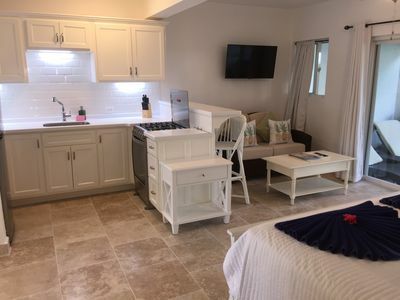 ft. of living space, the suite features a grand room with a vaulted ceiling, living area, separate master bedroom with a spacious bathroom and a private outdoor garden with rain shower and tub. 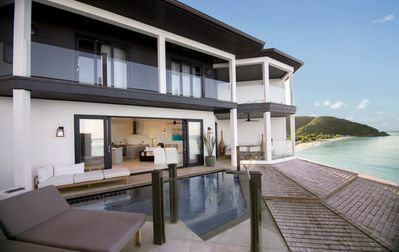 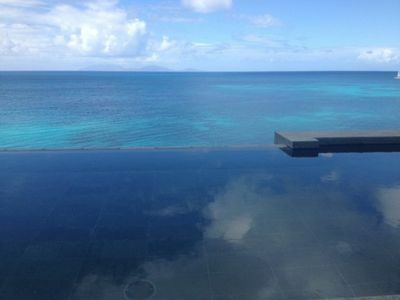 Overlooking the sea with an expansive terrace and a private pool, this is the ultimate retreat for relaxation. 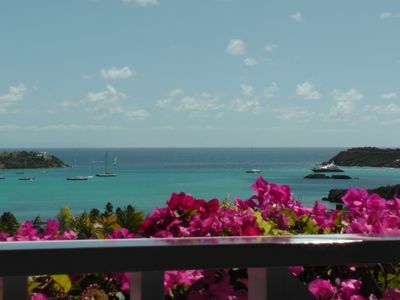 This beautifully appointed Suite is perfect for a couple. 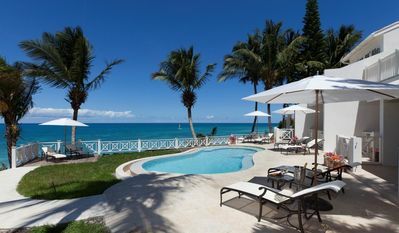 Rates are inclusive of gourmet breakfast, lunch, dinner, afternoon tea, beverages, cocktails, house wine by the glass, access to resort fitness and tennis facilities, resort pools, croquet lawn, putting green, and use of water sports equipment. 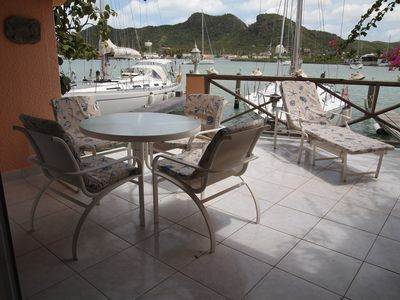 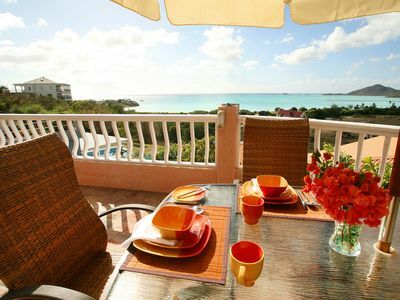 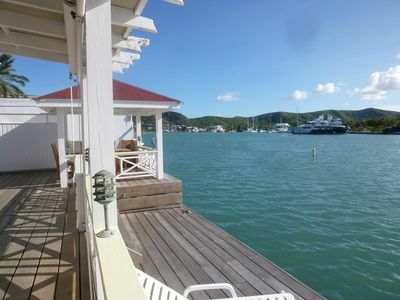 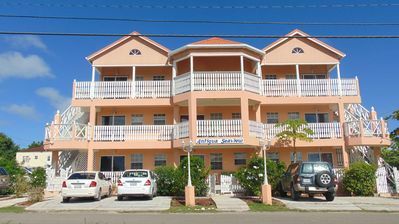 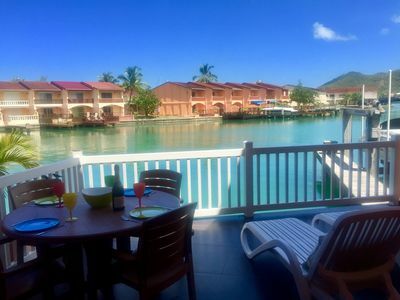 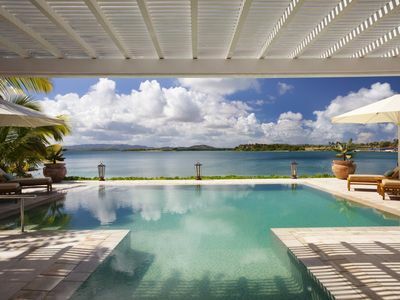 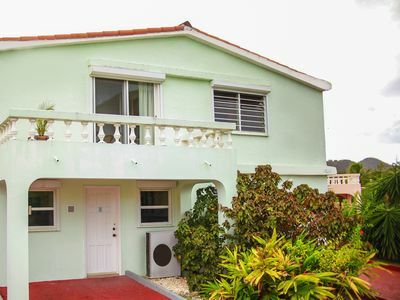 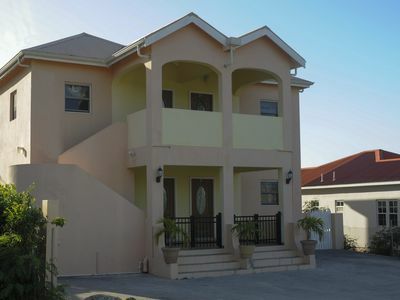 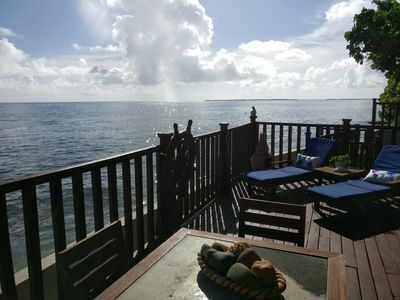 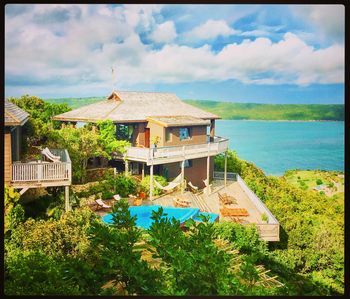 5 Star Waterfront Villa located in Jolly Harbour 2 minutes walk from the beach.